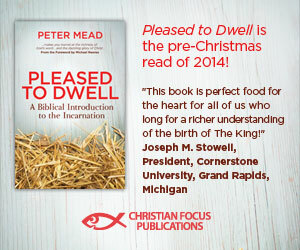 This Friday, Peter Mead will be interviewed on the Janet Mefferd show at 1:30pm Central Standard Time. There is also another interview lined up on the Janet Parshall show on the 15th of December at 6pm Eastern Time. Thank you to everyone who has given a helpful rating and/or review on Amazon and other sites – much appreciated!